Crisis talks to discuss the future of Jewish football were held on Monday night between football managers and the League’s management committee. 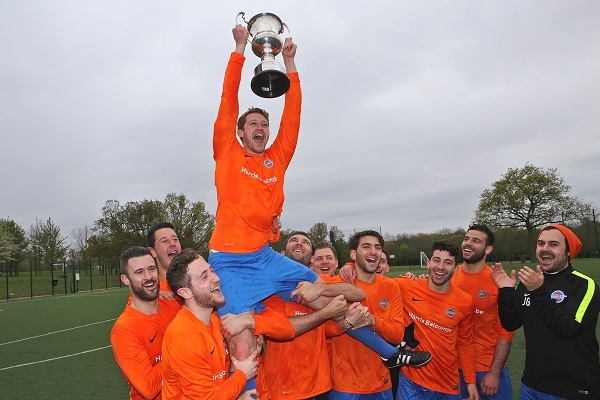 The two-hour meeting saw ideas and proposals put forward in the hope of stemming a decline which has seen the number of teams competing in Jewish football halved since 1999 – from 64 sides to its current 32. Introducing roll-on, roll-off substitutions, midweek fixtures and emergency registrations were all welcomed – though will have to be put to a vote at the League’s AGM at the end of the season. Suggestions for more wholesale changes and innovations included the formation of a new junior league to encourage youngsters to participate in Jewish men’s football and liaising with JSoc at universities to drum up interest in men’s football. Plans to change the format of the League to an NFL-style play-off system and the possibility of it becoming non-FA affiliated were also mooted. League chairman David Wolff welcomed some of the smaller changes, though believes attracting new teams is the way forward for the league to flourish. He said “Everything like roll-on, roll-off, emergency registrations will attract one or two, but that’s just tweaking. It won’t bring in hundreds, but I’m happy to do that if it’s voted for. But the bigger crux of the matter is how we get more people involved. Not as keen about other proposed changes, including the league format, he said: “I don’t think that’s a popular idea. I think it’s rather complicated and I don’t think the FA would agree to it. Turning the League into a non-FA affiliated one would be stupid. You wouldn’t get referees, would have to do your own discipline and more important than that, you couldn’t officially associate with affiliated associations, so therefore you have problems with the European Games and Maccabiah – it’s a non-starter. Referring to the meeting, he said: “There were many ideas bandied about. I think it highlighted the issues that we face – but we knew that already. I think it was useful, I’m not sure how productive it was, whether it moved anything forward or not, I don’t know. The next step is to try and consolidate the major points, which are the missing numbers and the universities. NL Raiders A’s joint-manager Rob Richman, who was asked by the committee to set up a working group to look into the issues the league faces, said: “It was really pleasing to see so many clubs well represented, which for me means it’s clear that there are a lot of people who are very passionate about the league and its future.